You guys, this week is nuts! We’re still painting like crazy (I’ll have more pictures on that later next week) and we’re trying to pack things up and get them off to the new house while working and fitting in some sleep. I’m going to try to get posts up this week, but if not, know that I’m hustling trying to keep my life together and things will be back to normal in no time. 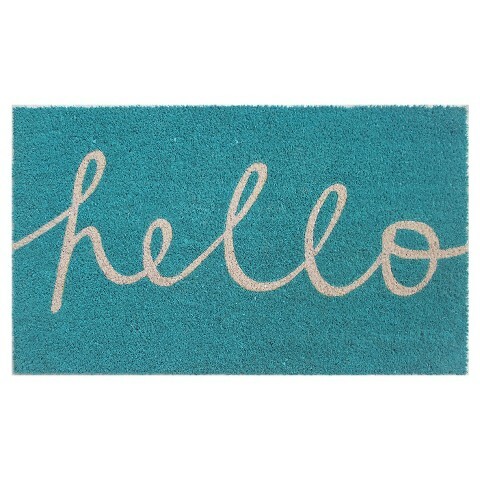 In the meantime, how adorable is this rug? It’s on sale for less than $15 which is nuts- I’m thinking about putting it on the back doorstep where things don’t have to be as serious. Anyway, hope you’re all having a fabulous day and I’ll check in soon! Good luck getting settled at the new place! That rug is so cute, you definitely need to get it!